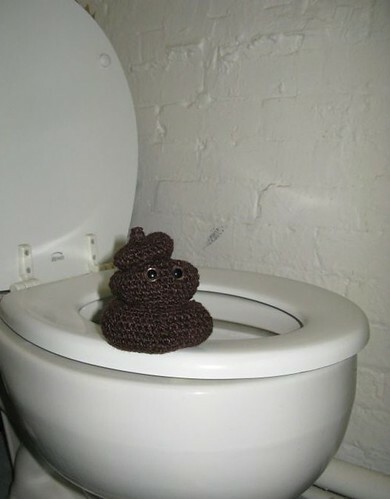 One of the very first crochet projects I took on (just after the blue bunny) was making the happy poo. It is a very simple amigurumi and a great way to learn and practice crocheting in a spiral and increase/decrease. ***EDIT*** found this great tutorial with vids and everything, for those wanting to learn the basics for crocheting amigurumi. 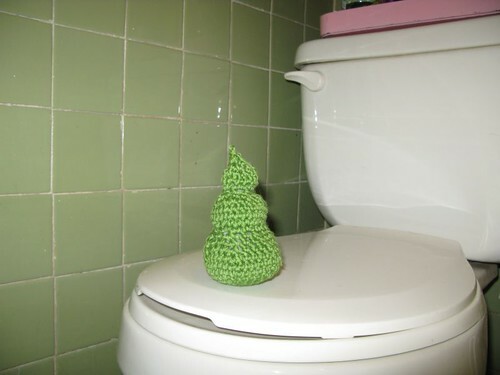 Since I was just practicing, I used a green yarn. I think this would make it more of an unhappy poo 😦 On top of that, my dog found it one day and decided it would be a better chew toy than crochet model.